You need to send drawings to the Drawing Desk and enable the Shift and Trace option to be able to use it—see About the Drawing Desk. Go to the Drawing view. 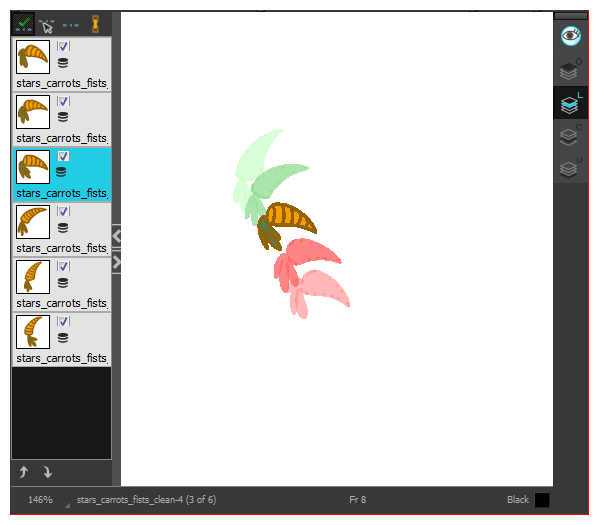 In the Tools toolbar, click the Show Onion Skin button—see Paperless Animation Tools. Send the selected drawings to the drawing desk—see About the Drawing Desk. In the Drawing Desk toolbar, click the Shift and Trace Enable button. Registration marks appear at the bottom of your drawings.